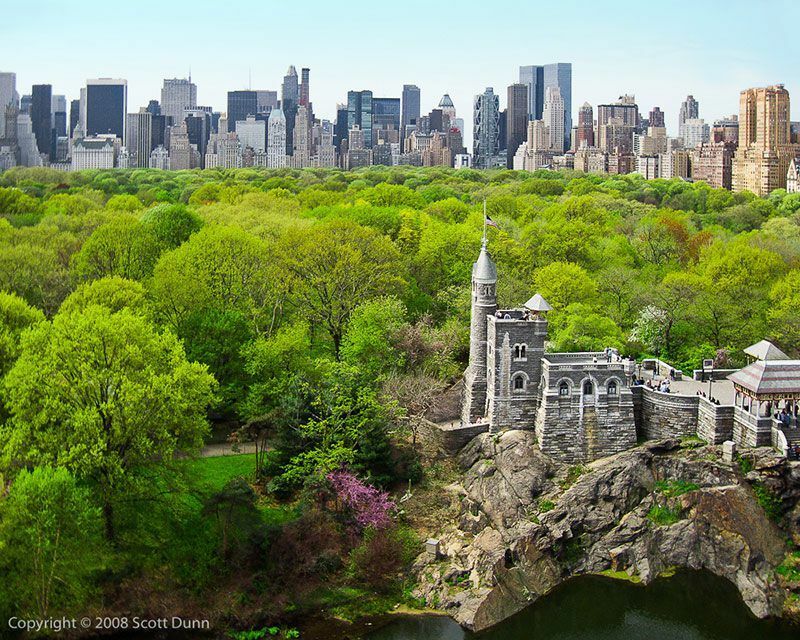 About 1,000 feet off the coast of the Hudson River’s eastern shore lies a small, rocky island called Pollepel. 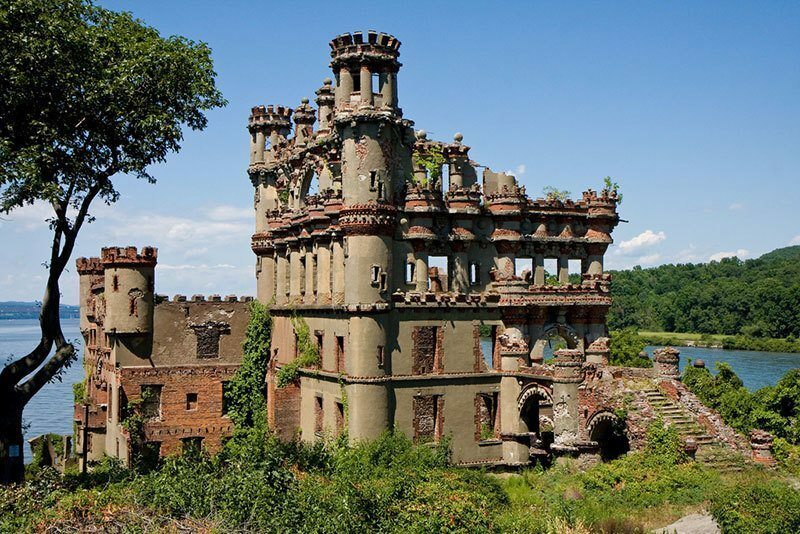 It was here that Francis Bannerman decided to build a castle to store some of the wares that had made him wealthy (military surplus items including munitions, relics, and uniforms). 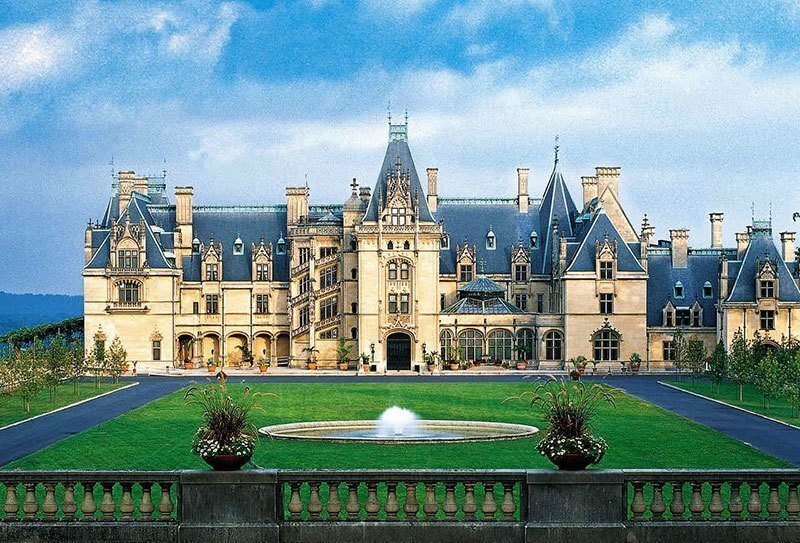 Bannerman designed the castle himself, and had his crew build it without help from professional architects or engineers. 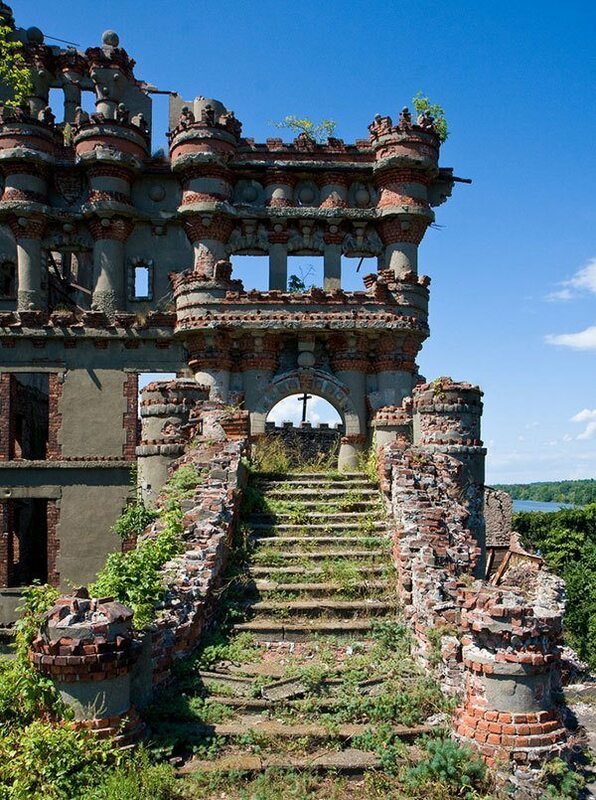 He also designed a smaller castle near the top of the island, which was where he and his family lived. 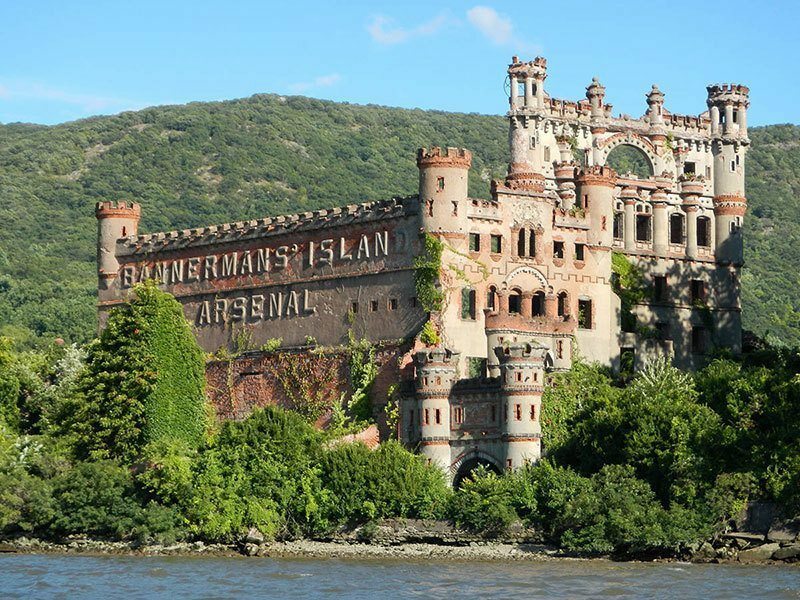 After everyone eventually left, in 1957, the castle was left vacant for decades, until the Bannerman Castle Trust dedicated itself to preserving the island and its history. 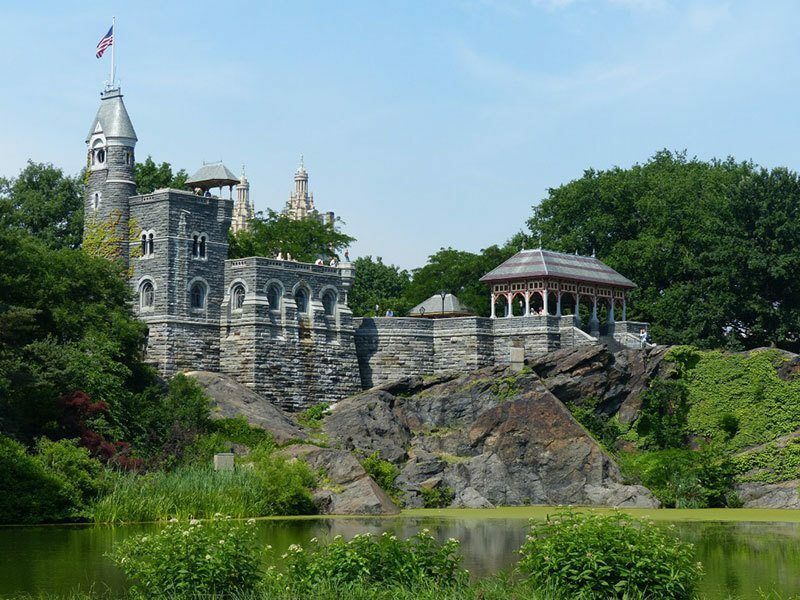 No American castle is as fabulous as the Belvedere Castle, which was designed by Calvert Vaux and Frederick Law Olmsted, co-designers of New York’s Central Park, in 1869. 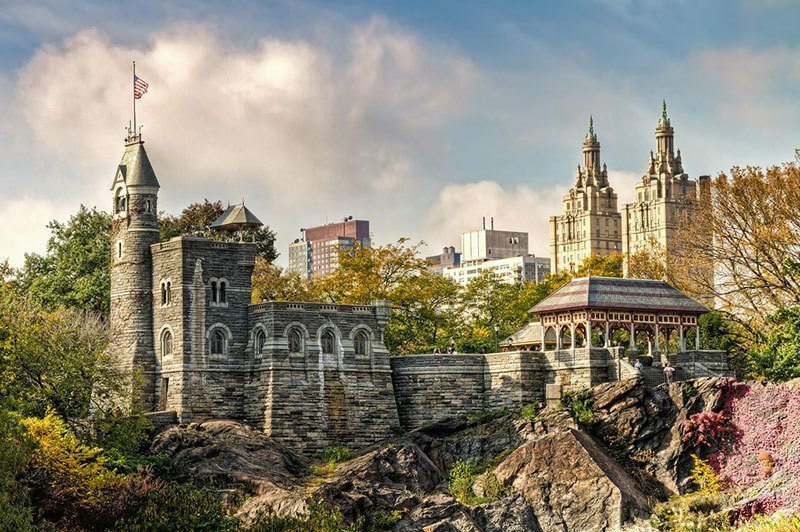 Though there have been a few bumps in the road, as far as maintenance goes, over the years, Belvedere Castle still offers some of the best panoramic views of Central Park.